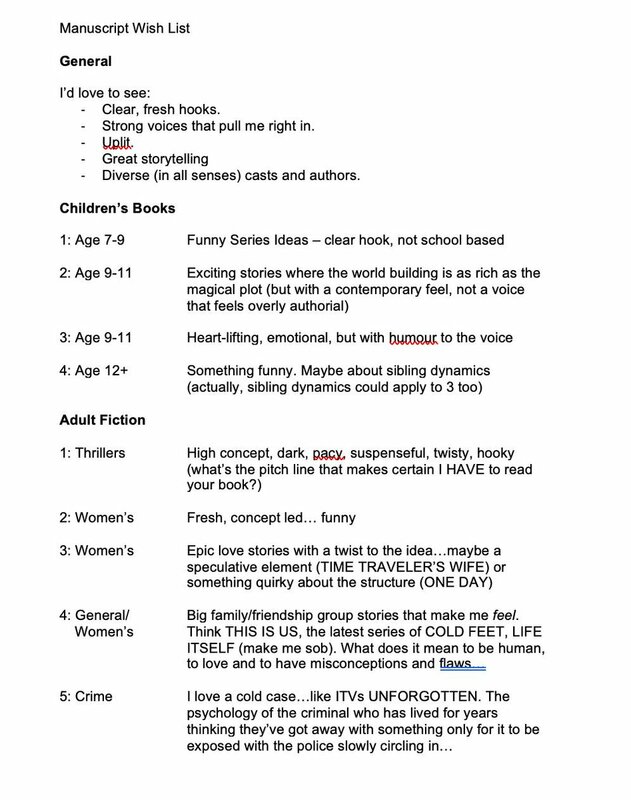 1/4 #MSWL Board books: early learning concepts (dates & time, body, senses, cooking/food, money); series proposals; economic and gripping language; LGBTQ+; diverse families and ownvoices; author-illustrators. *I may come to regret this when I get swamped in queries. I will add, please remember that I only am looking for children's books. Check out bookendsliterary.com/submissions/ to find out what I rep. Search #MSWL and my handle for more specific ones.